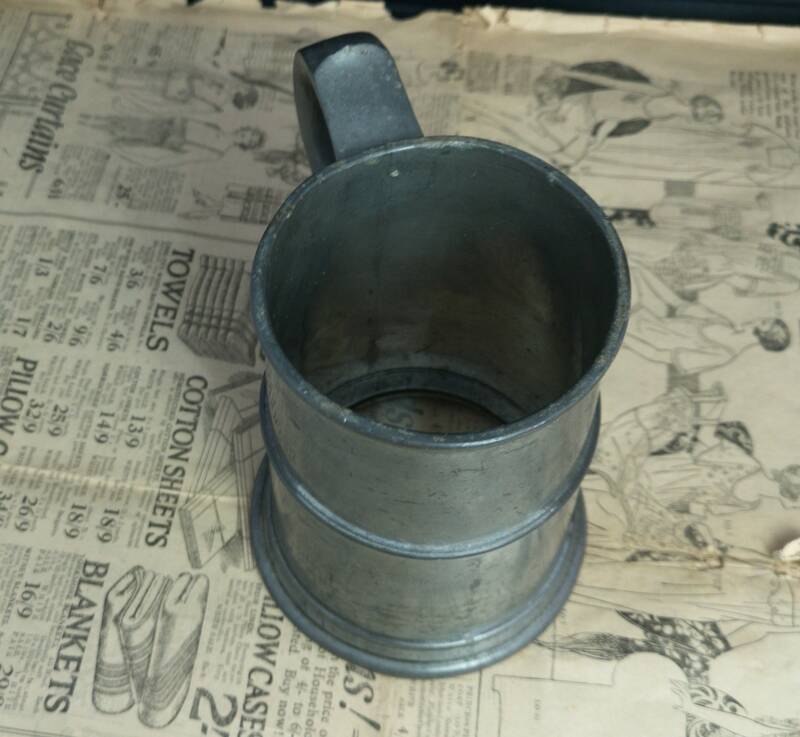 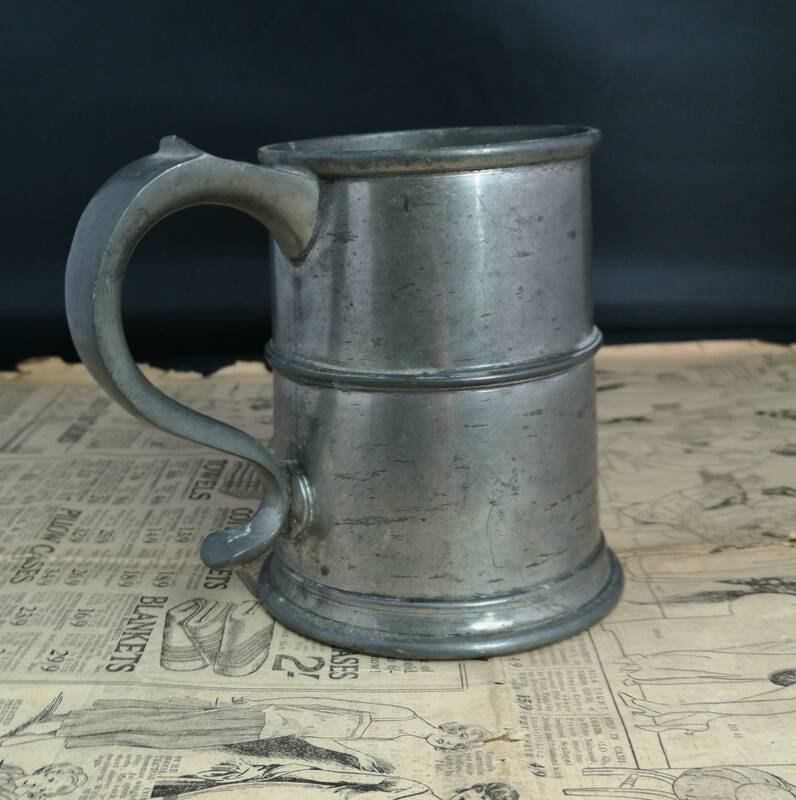 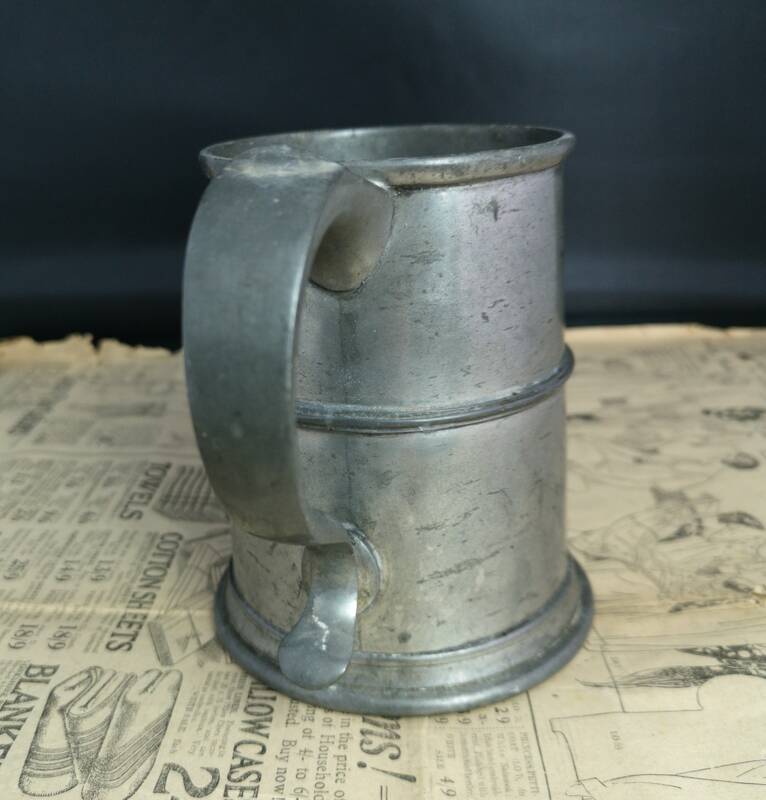 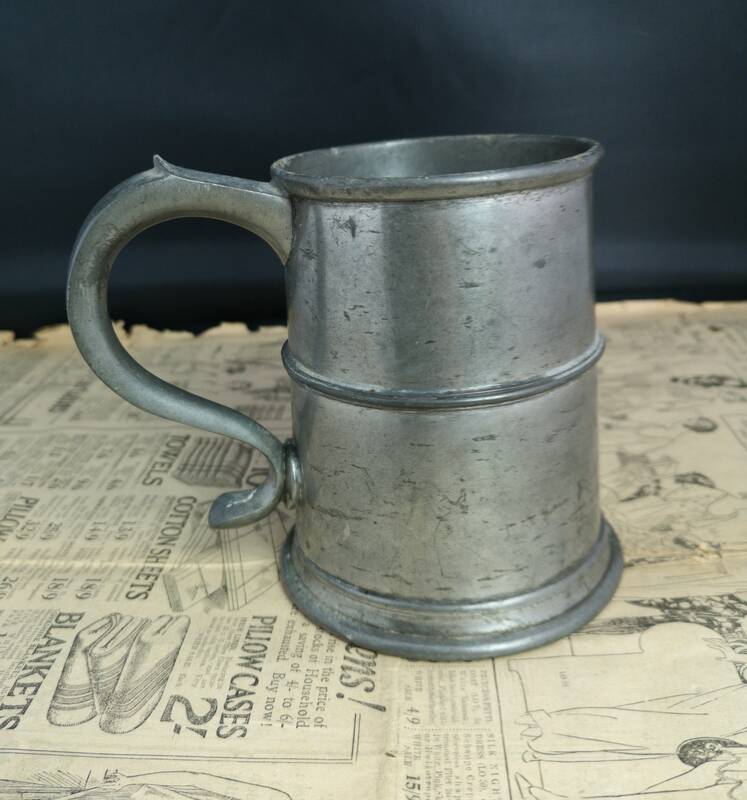 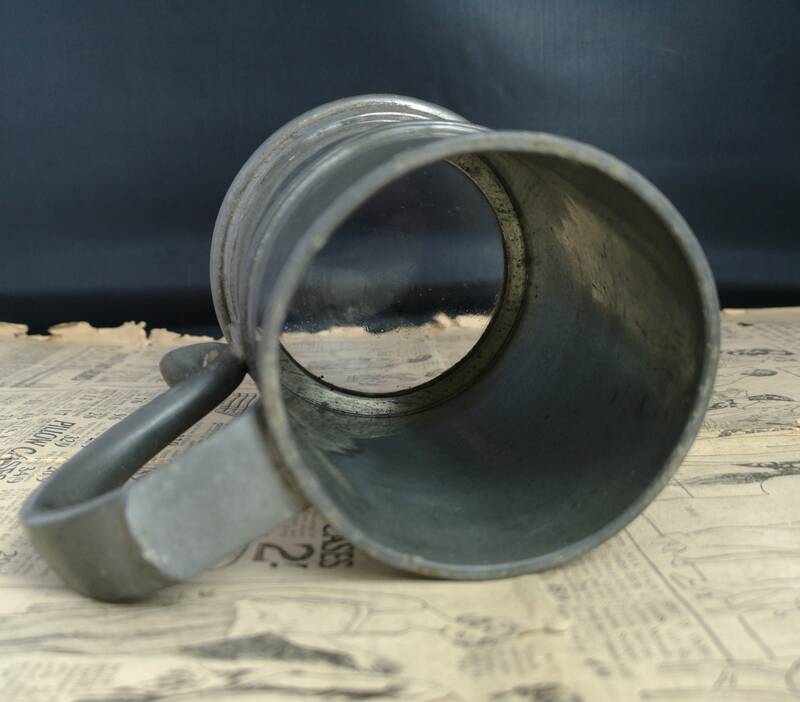 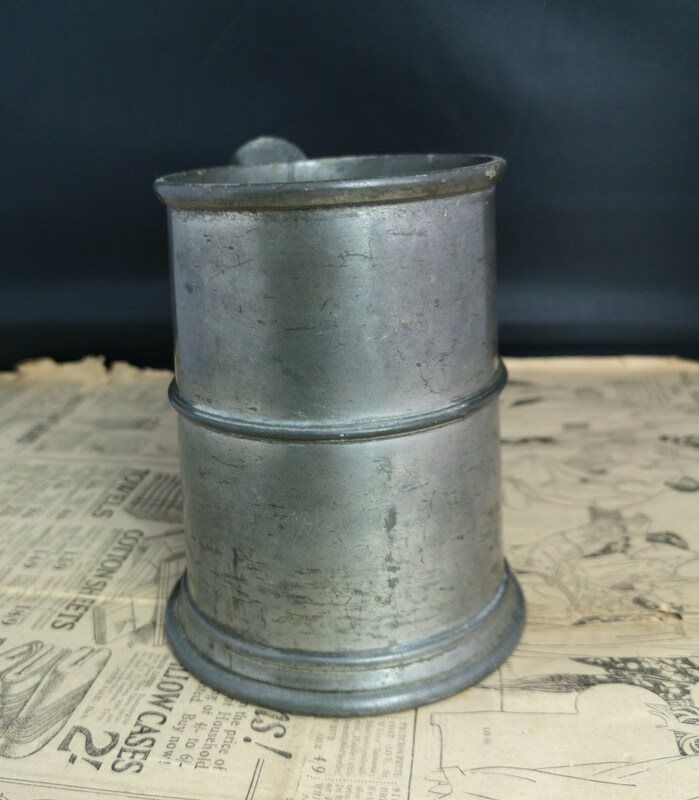 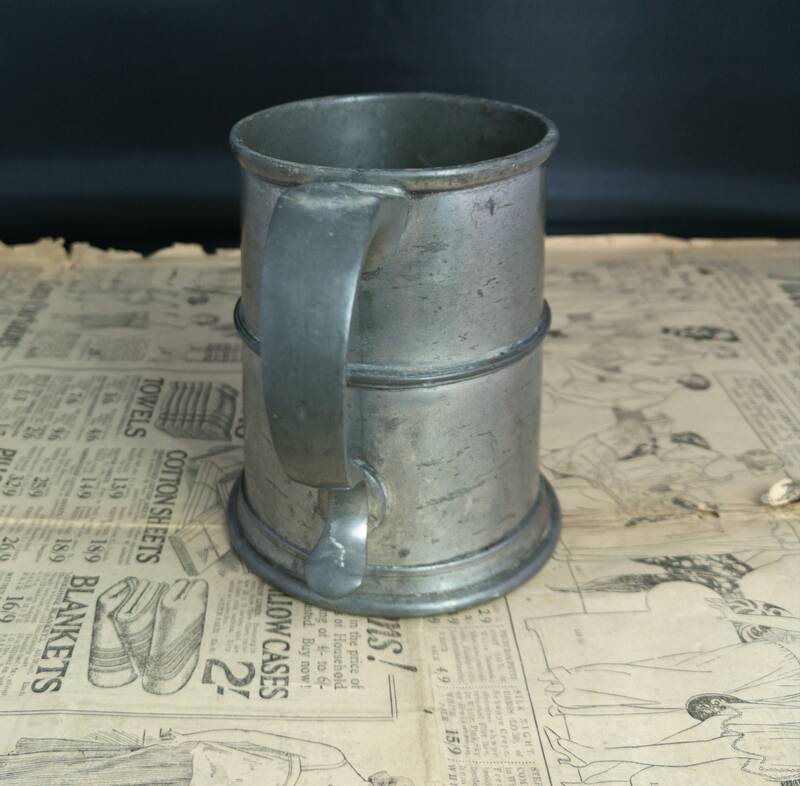 A rustic antique pewter tankard, late Victorian, with a glass bottom base. 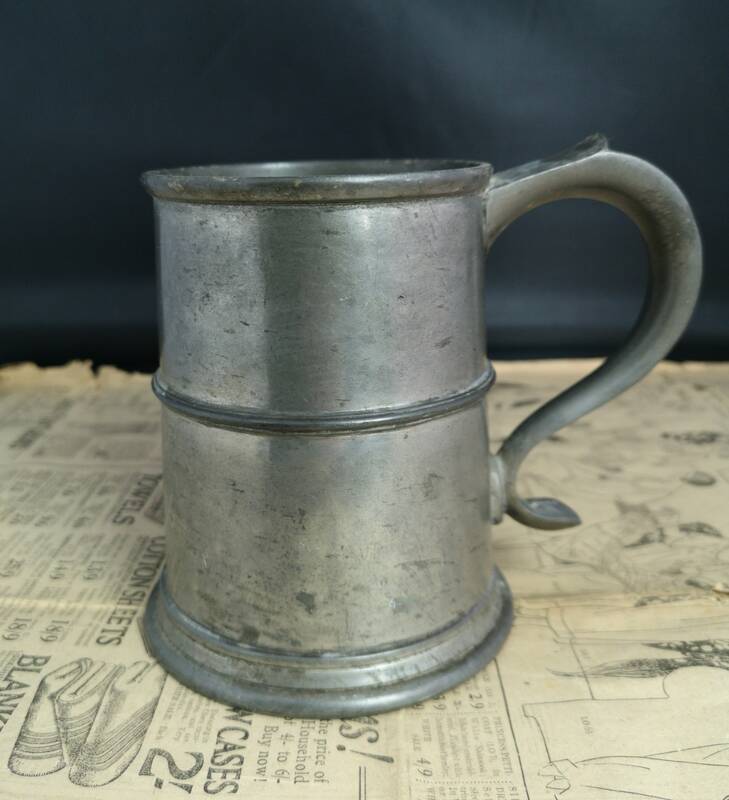 Decorative handle, marked on the base with a number 227. 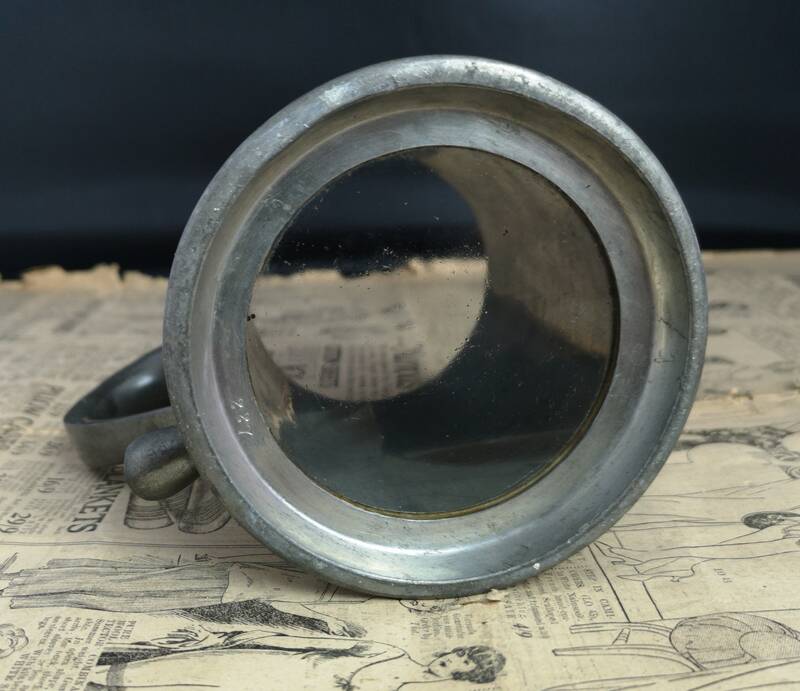 Glass bottomed base in good condition, free from chips or cracks.